Yogurt is my go-to snack and I love it because it is delicious, all year, all seasons. I’m excited to be sampling a new yogurt, Oikos Greek Yogurt. Called “yiaourti” in Greece, Greek yogurt is creamier than regular yogurt. Authentic Greek yogurt like ours owes its extra creaminess to a centuries-old straining process that removes the whey (liquid) from the yogurt. I was also interested to learn that Oikos is the Greek word for house and the root word for ecology. I love learning the historical context of the name and understand why, it’s synonymous with the brand. I sampled the black cherry, peach, vanilla and strawberry Dannon’s Oikos yogurt. This Greek yogurt is thicker in consistency, and subsequently, has the dessert-like effect of almost cream. The fruit was a perfect addition, as I swirled around with my spoon, the bright colors of the black cherry blended beautifully. 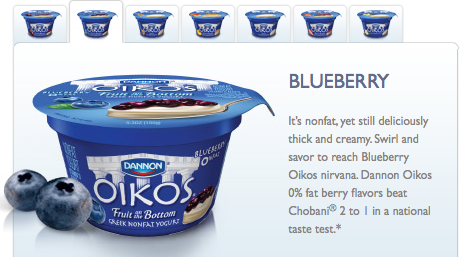 Filled with active yogurt cultures, the Dannon® Oikos® Plain and Fruit on the Bottom yogurt contains 0% fat, while the Dannon® Oikos® traditional blended varieties contains about 3% fat. Upon further research, both are great sources of protein, twice that of most regular lowfat yogurts. Between 80-130 calories, that’s a perfect snack and even relatively healthy. As I may be more traditional with my yogurt use eating it for breakfast, plain, granola or with even more fresh fruit added to the yogurt I was amazed at Oikos’ plethora of available recipes. 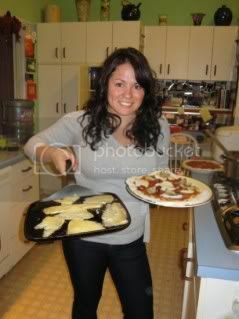 Where can I get this deliciousness? If you’re interested in learning more about Oikos’ delicious, new yogurt you can find them in most major grocery stores. Check out this link to find out where, specifically. 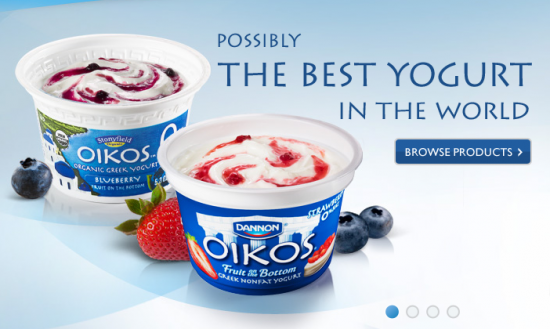 To learn more about Oikos I suggest you visit their Facebook page: http://www.facebook.com/oikos and website: http://www.oikosyogurt.com/. 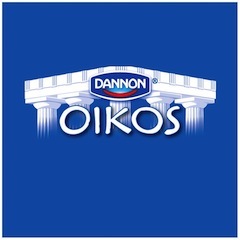 I have partnered with Dannon to help promote the Dannon Oikos Greek Yogurt Series. I have been compensated for my time commitment to the program, which includes writing about the promotion and product. However, my opinions are entirely my own and I have not been paid to publish positive comments.